ST. JOHN – Caleb S. Johnson of Caleb S. Johnson Law, LLC, has been selected to the 2016 Indiana Super Lawyers Rising Star list. Each year, no more than five percent of the lawyers in the state are selected by the research team at Super Lawyers to receive this honor. Super Lawyers, a Thomson Reuters business, is a rating service of outstanding lawyers from more than 70 practice areas who have attained a high degree of peer recognition and professional achievement. The annual selections are made using a patented multiphase process that includes a statewide survey of lawyers, an independent research evaluation of candidates and peer reviews by practice area. 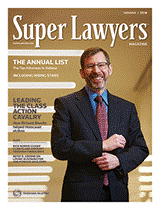 The Super Lawyers lists are published nationwide in Super Lawyers Magazine and the Indianapolis Monthly. This is Attorney Johnson’s fourth year being recognized for his work in the area of General Personal Injury law. “I’m thrilled to represent St. John and Northwest Indiana in being recognized with this distinction. 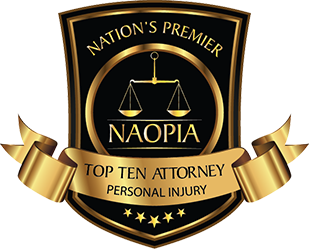 For the past 13 years I’ve had the pleasure of helping hundreds of personal injury clients, and to be recognized by my peers is humbling”, Johnson said. National Academy of Personal Injury Attorneys, Inc.
© 2014-2019 Caleb S. Johnson Law, LLC - All Rights Reserved.